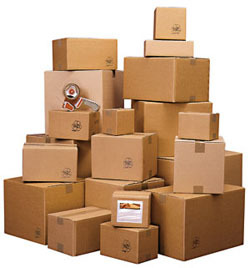 IDEAL PACKKS is a one of the good name created in Corrugatted Boxes Unit. Since we have Estabilised our unit in 2002. Mr.R.Kumaran (M.D.) 20 Years experience in Export Carton Box field. 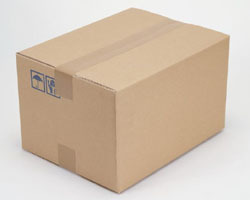 We are Manufacture and supply of Corrugatted Boxes, Boards of all types, Export Boxes , Punching Boxes, for all Types of boxes and further we produce Match Box type of Top & Bottom Closing Box and ordinary Boxes, Hanger attach type Boxes, Inside Elastic Joint Boxes and Heavy GSM Brad Flute Boxes. Our Factory is ideally located of all facilties and offers an excellent place of work, then our unit is own building of 1 Acre covered with located areas then delivery vehicles on One Eicher and Mahendra Maxima 2 Nos. Our unit is very supportive and user friendly towards labours. Around 60 labours working in our concern and we provide both accomadation factilties and food inside our company for their well being, and our staff teams comprises of a Production Mananger and 2 Supervisors, Lamination Box Designer, Marketting Staff and Accounts manager. Who as a team maintain the day to day activities inside the companies. Textile Carton Boxes, Commercial Carton Boxes, Domestic Lamination Colour box, Heavy Duty Boxes, L Type & Punching Boxes, Flat Boxes, Long Boxes, Printed Boxes, Difference type(Small, Medium, Large boxes). Tirupur – 641 687, Tamil Nadu, India.